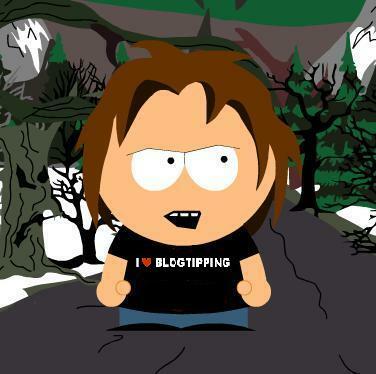 With the new year, I'd like to re-introduce an old tradition that I discovered long ago known as blogtipping. At the first of the month (or, in my case, the first weekday of the month), you pick three blogs to link to. For each of these these blogs, you point out three things you like. You then find provide a tip for something you feel could be improved upon. A little constructive criticism never hurt anyone, and may make that favorite blog of yours even better. I love the color scheme. For a blog that covers retro computing, it really works. You are the master of the long-form post, and the content is always extremely informative. Finally, I love that you're using a tag cloud, making all of that wonderful content easy to find. Tip: I have to do a little bit of horizontal scrolling with my resolution set to 1440x900 because one of your widgets is wider than the rest. Not a huge issue, as content is king and I don't have to horizontally scroll for that. I love the simplicity of the design. It's something we should all remember. I also love the fluid width, so I never have to horizontally scroll. Finally, I love that you've got blog membership tied to a LinkedIn group's membership, even if it is a manual process. Great concept. Tip: Could you darken the background of the sidebar just a bit? I'm not sure if it's already got a slight hue to it or not (it appears to, but that could be my eyes playing tricks on me), but darkening it slightly would separate the sidebar from the content a little better. The green-on-black gives the site a very retro feel. I love it! The entire design seems to scream "Here's how to find the content!" You make it easy to follow via other social media sites without hitting your readers over the head with the links to those sites. There it is. Nothing too critical to say about any of the three blogs I chose this month, and three things I love about each. If you publish a blog, my challenge to you is to join in next month. And remember, the first falls on a Saturday, so I will be publishing my Feb 2014 blogtipping post on the third, instead. Grapefruit Grapefruit. Unchain the hot petunia. Is the NFL making up rules as they go?